As I write this I received an email from one of my contacts telling me the contact’s son was beaten by the police during a demonstration. This is a dangerous “truth”. Chavez has not engaged in structural health and education programs. He has spent billions of dollars in massive handouts, not to be confused with plans to attack the structural roots of poverty, illness and ignorance. He distributes fish but does not teach the people to fish. As a result poor Venezuelans are more dependent than ever on the paternalistic, populist and vindictive leader. The entire health, educational and commerce infrastructure has been decimated due to incompetence and corruption. The state of the most major hospitals is deplorable and thousands of patients are flown every year to be operated in Venezuelan funded hospitals in Cuba. Chavez’ support domestically has not been increased by his attacks on the U.S. In fact, most Venezuelans reject those attacks, as shown by all credible polls. I posted about the blame game this morning; in the same article, Simon Romero in the NYT points out that no electoral observers are invited to the referendum. Both Mr. Chavez, a self-described socialist who has won elections by wide margins, and his critics say opinion polls show they will prevail, suggesting a highly contentious outcome. But departing from its practice in last year’s presidential election, Venezuela did not invite electoral observers from the Organization of American States and the European Union, opening the government to claims of fraud if he wins. Violence has already marred the weeks preceding the vote. Two students involved in anti-government protests claimed they had been kidnapped and tortured this week by masked men in Barquisimeto, an interior city. And in Valencia, another city, a supporter of Mr. Chavez was shot dead this week in an exchange of gunfire at a protest site. The New York Times insists that the regime is still some sort of a legitimate democracy. (Healthy democracies don’t generally hold elections to give one person abolute power.) However, the Times does at least recognize that Chavez is having some problems controlling the momentum against his referendum on absolute power. 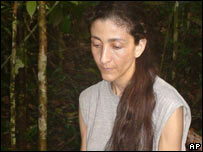 As readers of this blog know, Ingrid Betancourt is the Colombian-French politican that was kidnapped in 2002. The French government (which under de Villepin had sent a plane to the jungle searching for her) has been pressuring Colombia’s Uribe to negotiate with the FARC for her release. Uribe agreed but after it became evident that Chavez was in cohoots with the FARC, Chavez was fired. Mr Uribe may reckon that a few insults are a price worth paying for ending a venture that seemed certain to provide political gains for Mr Chávez and the FARC but looked unlikely to free all the hostages—if any. The Venezuelan media opine, and –surprise, surprise– the plot thickens. (Video included.) “Información de inteligencia indica que el destinatario de estas pruebas era Hugo Chávez y que iba a recibir la encomienda antes del domingo.” (“Intelligence information indicates that the proof of life were to be given to Hugo Chávez, and that he was to receive them prior to Sunday’s vote.” My translation.) From the Venezuelan daily El Nacional, Betancourt’s mother Yolando Pulecio says the proof was to be delivered to Colombian senator Piedad Córdoba. The referendum may be decided by how many Venezuelans bother to vote. Those in the opposition who called for abstention in past elections (claiming that the electoral authority was not impartial) have this time called on their supporters to vote, whereas in the chavista camp, there are signs of apathy. How widespread this proves to be may determine whether or not Venezuela remains a democracy. the Chavez government has already printed, at significant expense, some eight million copies of the “new” constitution, one that has not yet been approved and could well be rejected. Citizen Feathers has An utterly grim view of the future of Venezuela, too. Dr. Luis Fleischman will be my guest at 6PM Eastern next Sunday, December 2, the day of the referendum, to talk about the day’s events. The "Blame the CIA Game" is back! For a while there it had died (no doubt because of the CIA’s clear mishandling of a number of things), but hey! A good game never dies; it just keeps turning up like a bad penny. Fue destruido con un Buldózer utilizado por la policía, el local de la Iglesia Evangélica Reforma Apostólica, en la ciudad de Santiago de Cuba, nos informaba por teléfono desde la oriental ciudad, Juan Ramón Rivero Despaigne, activista de los derechos humanos. “La iglesia se encuentra ubicada en las calles Nico, #3, en el pueblo El Salado. Todos sus miembros son acusados por el Gobierno de agentes de la CIA. El pastor Alain Toledano sigue celebrando los cultos en el lugar en donde fue destruida su iglesia”, concluyó Rivero Despaigne. The police bulldozed the locale used as a church by the Reform Apostolic Evangelical Church in the city of Santiago de Cuba, we are told by phone by Juan Ramon Rivero Despaigne, human rights activist. The church is located at Streets # 3 and Nicon in the town of El Salado. The [Cuban] government is acussing all the members of the church of being CIA agents. Pastor Alain Toledano continues to celebrate worship services at the location where the church was torn down, Rivera Despaigne reports. Mr. Chavez and senior officials here have exhibited increasingly erratic behavior. Mr. Chavez has lashed out at leaders in Colombia and Spain and asked for an investigation into whether CNN was seeking to incite an assassination attempt against him. Reports of such plots are not in short supply here. The main state television network broadcast coverage this week of a memorandum in Spanish that it claimed had been written by the C.I.A. in which destabilization plans against Mr. Chavez were laid out. American involvement in Venezuelan politics remains a particularly delicate issue here, after the Bush administration tacitly supported a coup in 2002 that briefly ousted Mr. Chavez. “We reject and are disappointed in the Venezuelan government’s allegations that the United States is involved in any type of conspiracy to affect the outcome of the constitutional referendum,” Benjamin Ziff, a spokesman for the United States Embassy here, said in a statement. A C.I.A. spokesman called the document “a fake,” while analysts, including investigators who had previously uncovered financing of Venezuelan opposition groups by the United States government, expressed doubts about the authenticity of the memo. One of the surest signs of a tyrant is his eagerness to play the “Blame the CIA Game”. When that fails, blame the White House (and of course, blame Bush). More on Venezuela’s countdown to tyranny later today. Study: Canadian Beer Drinkers Threaten Planet, eh? Scientists have found a new threat to the planet: Canadian beer drinkers. The government-commissioned study says the old, inefficient “beer fridges” that one in three Canadian households use to store their Molson and Labatt’s contribute significantly to global warming by guzzling gas- and coal-fired electricity. “People need to understand the impact of their lifestyles,” British environmental consultant Joanna Yarrow tells New Scientist magazine. “Clearly the environmental implications of having a frivolous luxury like a beer fridge are not hitting home. Clearly Joanna doesn’t understand that a beer fridge is a necessity, not a frivolous luxury. 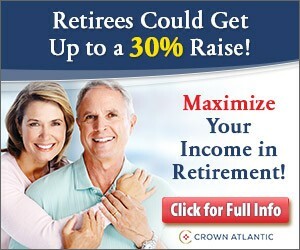 [the photo will be brought to you as soon as the camera battery recharges Photo ready. Over at Tim Blair’s, Canadians aim for title. For those of you in a hurry for their beer to cool, Adam and Jamie proved that the fastest way to cool a six-pack is to spray it with a CO2 fire extinguisher. Beer + carbon emmissions = cool! Ed has the goods on the Guinness stout keg heist. I would like to request that the visitors of this blog please pray for a special intention. At AgoraVox (in French) La nouvelle constitution vénézuélienne : la réinvention de l’autocratie The New Venezuelan Constitution: Re-inveting autocracy? ), by Daniel Duquenal, who is urging people to vote. Today there’s a huge demonstration in Caracas and Miguel is there taking pictures, which Daniel’s posting. But Martínez and a handful of others who once were prominent pillars in the Chávez machine, have defected, saying approval of 69 constitutional changes would effectively turn Venezuela into a dictatorship run at the whim of one man. They have been derided by Chávez as traitors, but their unimpeachable leftist credentials have given momentum to a movement that pollsters say may deliver Chavez his first electoral defeat. Pollsters in Caracas say Venezuelans increasingly agree — even those who continue to support the president but say the proposed overhaul of an eight-year-old constitution goes too far. la pretendida reforma constitucional aludida no sería más que un golpe de Estado ejecutado por medios aparentemente democráticos. Esto constituye un acto más de la nueva modalidad asumida por gobiernos de corte autoritario y populista en Latinoamérica, de apelar a medios ofrecidos por la democracia, para subvertirla hasta hacerla irreconocible. The purported constitutional reform is nothing more than a coup d’etat carried out through apparently democratic means. This constitutes one more step in the new strategy adopted by Latin American governments cut in the authoritarian and populist mode, through which they go through democratic processes until democracy is subverted to the point where it’s made unrecognizable. The students of Venezuela may not be able to buck the tide in Venezuela, especially if the election is rigged. It is my sincere hope that they do, though, or Venezuela may end up like Cuba, waiting patiently for their ancient Dictator for Life to finally kick the bucket. The CNR, in a statement posted to its Web site, said a massive voter turnout would defeat the Dec. 2 initiative to approve 69 changes to the constitution enlarging Chavez’s power. Abstention will increase chances of its passage, local pollster Datanalisis said this month. More at the Center for Security Policy. What a depressing debate. CNN’s long slide into mediocrity accelerates. Is this what running for president of the greatest democracy in the world has become? Standing in front of CNN’s corporate logo in a hall full of yowling Ron Paul loons and enduring clumsy webcam questions from Unabomber look-a-likes in murky basements? but I disagree; the basements weren’t all murky. Some of those basements actually looked quite bright. Several bloggers are upset that there were Hillary campaign employees planted in the audience. I would like to see a debate of an entire audience of Hillary employees asking questions to the Republican candidates. After all, campaign politics is all about bringing your message across under pressure, and that would make for an interesting evening (moronic questions and all -“What Would Jesus Do about the death penalty?” included). If one didn’t know better, one might suspect that CNN intentionally assembled a bunch of yahoos in the crowd to represent the Republican base and then fed the candidates gotcha questions from Democrats in order to make them look bad. That would be entertaining, I suppose, but horridly bad journalism. It’s perhaps more hopeful to think that they simply didn’t bother to vet the questioners. Of course, that’s not exactly good journalism, either. Since CNN is known for its fine journalism, however, there’s almost certainly a third alternative explanation. It alludes me at the moment. Third night of rioting in France, and a murder. Rioting spreads to Tolouse as 20 cars were burned out and rioters set fire to two libraries. Youths rampaged for a third night in the tough suburbs north of Paris and violence spread to a southern city late yesterday as police struggled to contain rioters who have burned cars and buildings and – in an ominous turn – shot at officers. 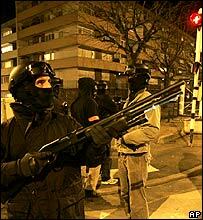 A senior police union official warned “urban guerrillas” had joined the unrest, saying the violence was worse than during three weeks of rioting that raged around French cities in 2005, when firearms were rarely used. Bands of young people set more cars on fire in and around Villiers-le-Bel, the Paris suburb where the latest trouble first erupted, and 22 youths were detained, the regional government said. In the southern city of Toulouse, 20 cars were set ablaze. Fires set at two libraries were quickly brought under control. Despite the renewed violence, France’s prime minister said the situation was calmer than the two previous nights. About 1,000 officers were on patrol in trouble spots in and around Villiers-le-Bel, he said. The government was striving to keep violence from spreading in a stern test for new President Nicolas Sarkozy, which highlighted the anger that still smolders in France’s poor neighborhoods, where many Arabs, blacks and other minorities live, largely isolated from the rest of society. No Pasaran posts on a murder in the RER D line, probably unrelated to the rioting. Last night I joined the guys at Heading Right who liveblogged the CNN/YouTube debate. I had to break at 9PM for my prescheduled podcast on the pharmaceutical industry. I will post later about what my two guests, Siggy and Dr. Sanity (who called in with questions) had to say about the subject. After my podcast I went back to listening to the debate. At 10:30PM Ed Morrissey hosted a post-debate wrap-up at Debate Central. Rick Moran of Right Wing Nuthouse, Uncle Seth from Political Vindication and Jim of bRight and Early and I discussed the debate with Ed, who hosted both the Debate Central podcast and the liveblogging at Heading Right. Overall it was a good debate, and it was a pleasure to have been invited. Listen to the podcasts. You will enjoy them.